2017 has shaped up to be an interesting year for smartphones. Everyone – including Apple – has released an almost bezel-less smartphone, improved their camera technology and improved the displays on their devices to bring you unparalleled all-around devices. LG is one of the companies that lead the charge this year thanks to the G6. While it was hailed as the best phone to be released by the South Korean company, it wasn’t as refined as the flagship devices released by the smartphone powerhouses. That’s where the V30 comes in. It takes everything you love about the G6 and refines it even further, making the V30 the classiest phone to ever come out of the South Korean company. 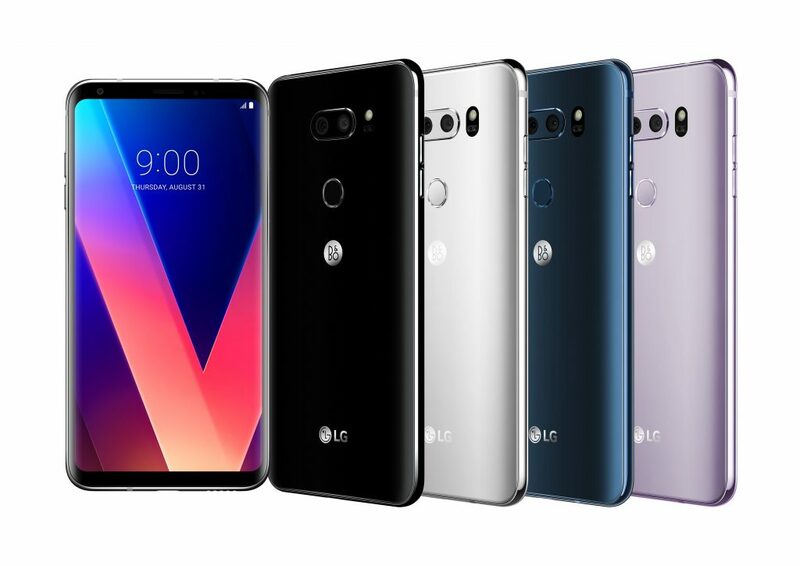 LG South Africa has announced that the 128GB V30 is now available in the country. The LG V30+ is a leader in the era of smartphone videography. The main camera on the rear of the V30+ features an F1.6 aperture and a Crystal Clear glass lens for improved light transmittance. The second lens in the V30+ dual camera is an upgraded 13MP wide angle lens with two-thirds less edge distortion than in the V20. Using Cine Effect and Point Zoom features, LG’s new Cine Video mode allows anyone to produce professional-like movies. Point Zoom allows users to zoom in on any subject smoothly, regardless of its position in the frame, and Cine Effect provides a palette of pre-sets to give videos a unique movie-like look, including romantic comedy, summer blockbuster, mystery, thriller and classic movie, among others. The LG V30+ builds on the strengths of the OLED FullVision display in a body that is compact, slim and light. The QHD+ (2880 x 1440) OLED FullVision display offers fast response time with minimal afterimages when viewing an action-packed movie or playing a game with quick movements. Equipped with a Hi-Fi Quad DAC, the V30+ delivers a superior acoustic experience. Digital filters can be used to adjust the pre- and post-ringing of the impulse response of music with three filter options. Four pre-programmed pre-sets mix and match sound frequencies and decibel scales to produce the audio quality of professional earphones. 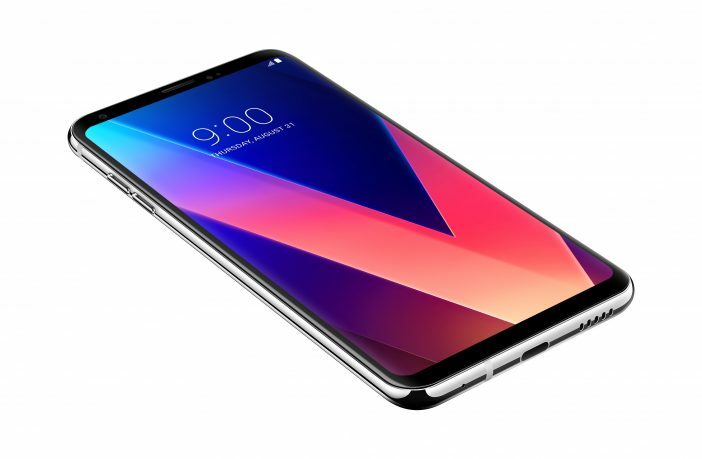 The V30+ is the first global smartphone to support MQA (Master Quality Authenticated) technology that allows for the streaming of high-resolution audio. MQA captures the sound of the original studio master and folds it into a small file to make high-resolution audio easy to stream. The Google Assistant on the LG V30+ features unique capabilities specific to the phone. For example, saying “Ok Google, take a wide-angle selfie” will launch the camera app with the setting on the front-facing camera wide angle mode. The Second Screen which was introduced in past V series smartphones has evolved into a new Always-on Display (AOD) feature and Floating Bar. When the display is off, the AOD replaces the Second Screen by providing shortcuts to Quick Tools and Music Player without having to turn on the display. The V30+ is 8mm shorter and 3mm narrower than its predecessor, resulting in a firmer, more confident grip. It weighs 158g, making it the lightest smartphone in the 6-inch and over category. It makes for tensile strength with an H-Beam structure, a construction technique found in modern buildings that integrate the edge with a metal frame. The phone also features Corning’s Gorilla Glass 5 on both the front and rear, passed 14 categories of the MIL-STD 810G and applied a heat pipe with a cooling pad to dissipate heat quickly with featuring IP68 water and dust resistance.